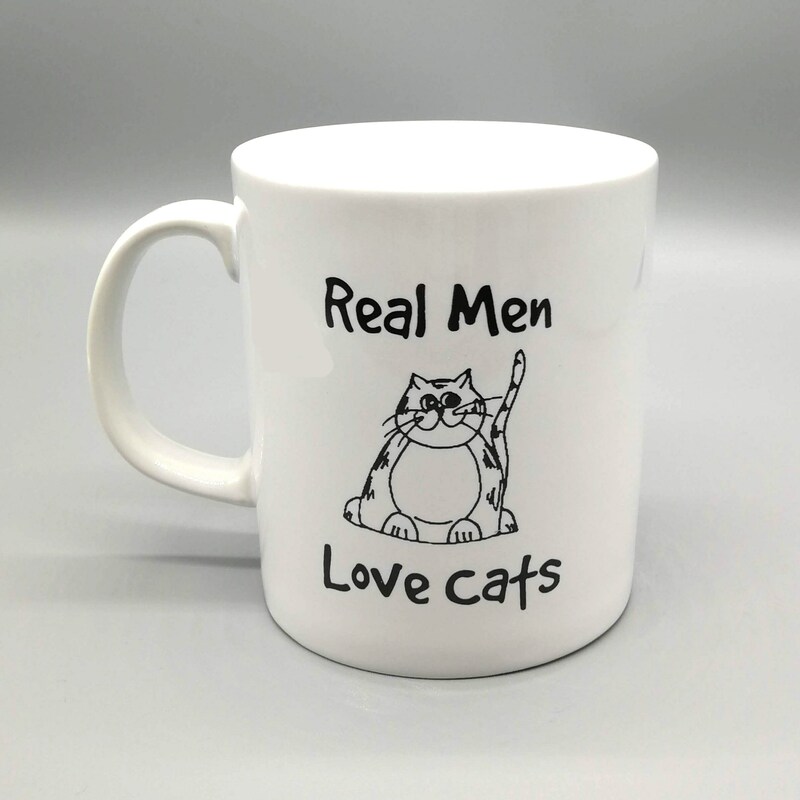 Funny cat mug - REAL MEN LOVE CATS earthen ware mug. 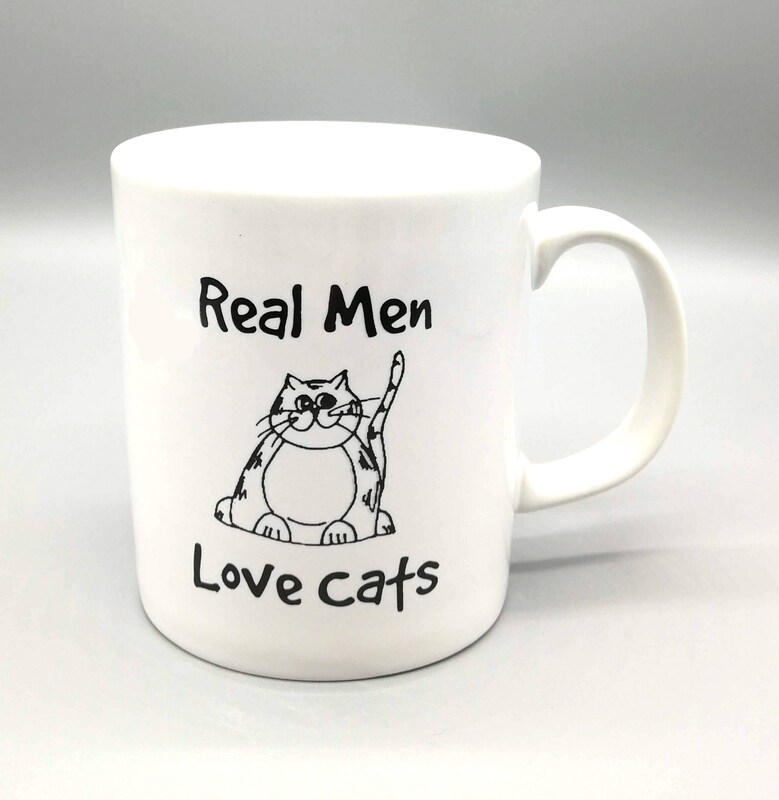 Perfect gift for that man who loves Cat and a good substantial mug perfect for that cup of tea or coffee. Printed in Nottingham by Central Design . Dishwasher safe. Item arrived well packaged and just as pictured! Slightly slow on the delivery side but was happy with the end product :) would shop from here again! Thank you .